Beers | Eastern Market Brewing Co. Conditioned on a single origin Colombian coffee roasted by Populace Coffee, this hoppy offering balances the earthy, acidic profile of the coffee with the citrus-forward Cashmere hops, jumping sip-to-sip from hops to coffee undertones. 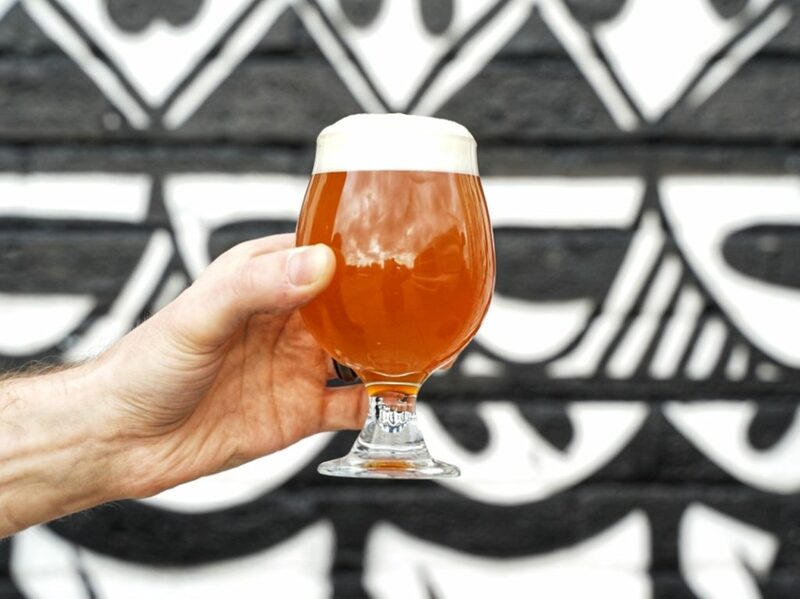 Hopped with a whopping five pounds per barrel of Vic Secret, Styrian Cardinal, Mosaic, and Simcoe, this NE-style DIPA has huge notes of pineapple juice, sweet pear, and grapefruit resin. This NEDIPA features Michigan-grown Chinook and Centennial. Key lime curd, raspberry smoothie, and slight resiny pine flavors hold tastebud trophies in a mouthful of banner-hanging oats. Inspired by baseball (and cellar-dwelling expectations), this lager with MI Centennial hops, Pilsner malt, and rice has notes of crisp hay and bright citrus, perfect for a day watching the diamond. Elephant-sized additions of Citra and Mosaic hops give this easy-sipping hop nectar notes of candied passion fruit and citrus rind to pair with a soft biscuity mouthfeel. Our unfiltered pilsner showcases the timeless pairing of sweet, bready German malt with the floral, slight spice of both German and Czech hops. We hear imperial stouts conditioned on in-house toasted coconut make you happy. This stout features coconut brownie aromas and as it warms, dark cocoa macaroon notes follow in taste, complete with flavors of tootsie roll, raspberry cordial, and spiked ganache. Single hopped NE series featuring Denali hops with notes of candied pineapple, ginger-laden fruit punch, and citrus Calpico. An inviting tangerine haze with a nose of gooseberries and sweet orange rind leads to a crisp blonde ale with bright dry hop notes. Session NEIPA featuring hop notes of sweet, pithy citrus fruits and fresh bready malt. 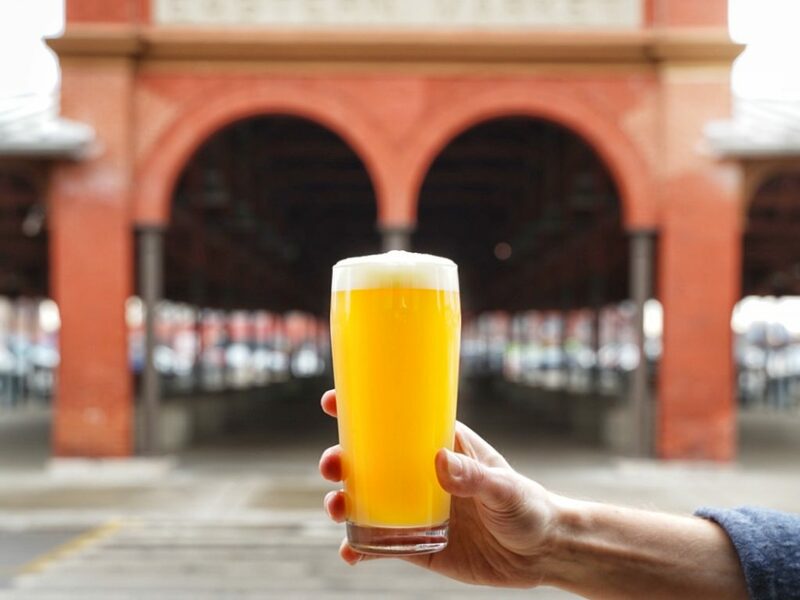 For the all-season stalwarts of Eastern Market, this hoppy offering is built for both quality and quantity. 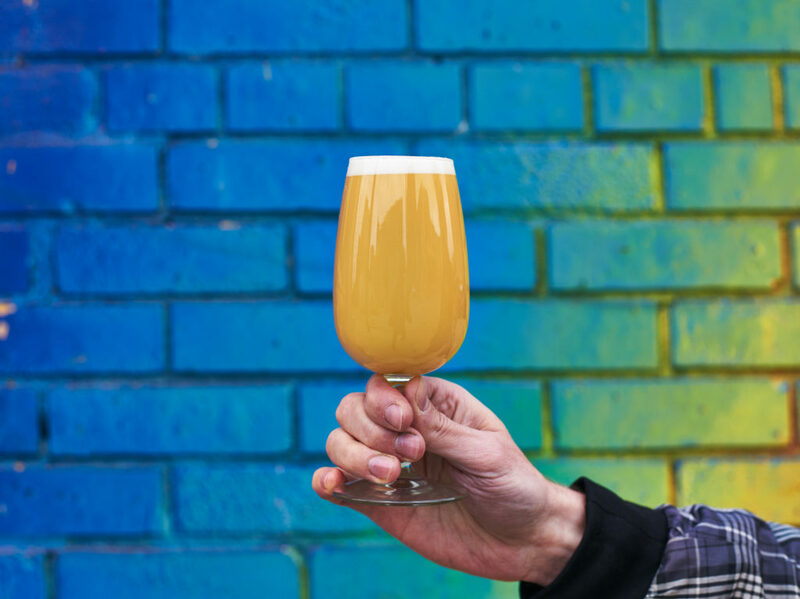 Subtle flavors of peach and mango in this pleasantly fluffy ale let you know there’s fruit without an overbearing acidity. As it warms, the two fruits show themselves more with every sip. The second iteration in our Sunrise series showcases the delicate, subtle tang of purple plums with a satisfying pulp quality that pairs well with blueberry pancakes or fried latkes. Blend: An English Barleywine blended with a whiskey barrel-aged stout that was brewed with warming winter spices. Taste: A warming spiced plum aroma leads to honey-ed, partially sweet nut crumble with a pleasant warming alcohol and banknote of winter spices. Let this one warm to have it fully bloom. Great Lakes Coffee Roasting Co.’s Natural Yirgacheffe, Ethiopian roast lends coffee notes to the aroma and taste of this lightly hued beer. Cocoa nibs give the impression of sweet, white mocha. With German Vienna malt as a base, this amber lager features a lovely note of dry toast and a sweet nut quality supported by a clean, spicy bitterness.